Ansgar Gabrielsen (born 21 May 1955) is a former Minister of Trade and Industry and a former Minister of Health and Care Services in Norway. He is an insurance agent by education and worked in this profession before entering politics. He is also a trained officer in the Norwegian Defence Force. He was a member of Lindesnes municipal council from 1983 to 1993, the last six years as mayor. He was elected to the Parliament of Norway from Vest-Agder in 1993, and was re-elected on the two following occasions in 1997 and 2001. In 2001 Gabrielsen was appointed Minister of Trade and Industry as a part of Bondevik’s Second Cabinet. Following the cabinet reshuffle in 2004, he became Minister of Health and Care Services. In 2007 he became chairman of the Special Olympics and the Norwegian Council for Mental Health. 2012-2013 he was deputy chairman of the South-Eastern Norway Regional Health Authority. Gabrielsen was decorated as a Commander of the Royal Norwegian Order of St. Olav in 2005. In 2014 he was elected as chairman of the board at CSAM. Louise is the Managing Partner of Priveq and joined Priveq in 1998. In addition to leading and developing Priveq, Louise is responsible for sourcing new investment opportunities, in which Priveq will contribute with growth and value creation as well as implement growth strategies in cooperation with other owners, the board and management. Louise is currently a Member of the Boards of 21 Grams, ByggPartner, CSAM and Ports Group. Prior to Priveq, Louise worked for PwC for nine years. She holds a B.Sc. in Business Administration from Luleå University and was an Authorized Public Accountant from 1995 to 1998. Mats Larson has in-depth knowledge from healthcare and the IT-industry and has held different managerial positions in both fields. He is an RN and holds a Master Degree in Health Information Management. For 10 years he served as Hospital General Manager and then became the CEO of Carelink – a Swedish public company facilitating the use of IT in healthcare. 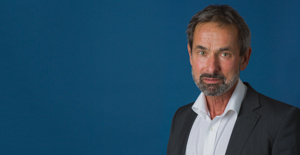 Between 2004 and 2008 Mats worked with Oracle as Senior Business Development Director for healthcare in EMEA. 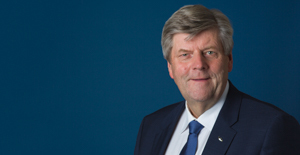 He has served as president of EHTEL – the European Health Telematics Association as well as Chairman of the Board of the Swedish Medical Products Agency. 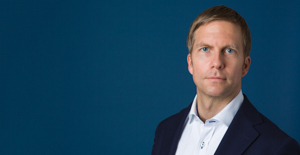 Mats Hjerpe is Partner and Investment Manager at Priveq. He is responsible for sourcing new investment opportunities, in which Priveq will contribute with growth and value creation as well as implement growth strategies in cooperation with other owners, the Board of Directors and management. 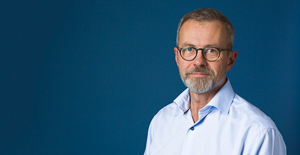 Mats joined Priveq in 2003 and is currently a Member of the Boards of 4C Strategies, CSAM, Mediaplanet and QleanAir Scandinavia. Einar Bonnevie graduated from BI – Norwegian School of Management as an MBA (“Siviløkonom”) in 1989. He started his career with international energy giant Norske Shell, where he held numerous positions, among them internal auditor and financial controller. In 1996 Bonnevie was promoted to become the portfolio and general manager of Norske Shell pension fund, managing assets in excess of 1.5 BNOK. From there Bonnevie moved on to establish the first Norwegian hedge fund, as a partner in Sundal Collier Asset Management. The company later merged with WarrenWicklund in 2005 and Bonnevie continued the successful hedge fund management there. Since 2008 Einar Bonnevie has held the position as CFO at CSAM and he has been a key member of the management team. Kjellrun is Business Area Manager for Emergency & Acute software solutions at CSAM. She works on both development and implementation projects and cooperates closely with customers across the portfolio. 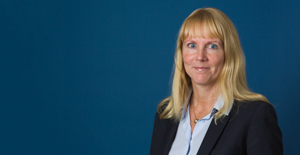 Before beginning her work in pre-hospital emergency health services in 2006, Kjellrun worked in product development and marketing within the international logistics market for several years. 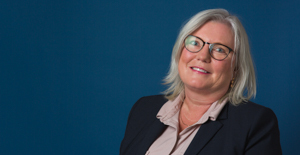 Kjellrun holds a Bachelor’s in Marketing, Internationalisation and Management from the Norwegian Business School in Oslo, and a Master’s in Health Informatics from the Norwegian University of Science and Technology in Trondheim.